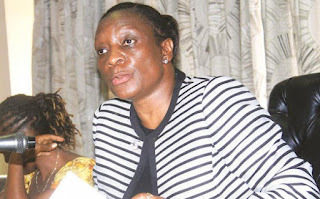 The Zimbabwe Electoral Commission (ZEC) is at the centre of a storm after it reportedly manipulated and violated tender procedures when it awarded an American company a contract to supply Biometric Voter Registration (BVR) de-duplication hardware and software. The electoral body last month awarded a New York-based company, IPSIDY Inc, the tender to supply, install and configure the de-duplication equipment. In essence, de-deplication equipment and software is used to eliminate redundant or repeated copies of data in a biometric system. Since it also allows the storage of one unique instance of data within a database or information system, it is understood to be critical in the creation of a new voters’ roll ahead of harmonised elections later this year. ZEC’s decision to award IPSIDY Inc the contract has upset the Chinese company, Laxton Group Limited, which in June last year won the tender to supply BVR kits ahead of the polls. The Chinese firm last week approached the Administrative Court appealing against ZEC’s decision. Justice Rita Makarau was ZEC chairwoman when the initial contract to supply BVR equipment was signed. The firm accused the electoral body of introducing a new service provider at the 11th hour, which might cause problems and delays to the current voter registration process. Laxton Group, which is represented by lawyer Mr Misheck Hogwe, also cited the State Procurement Board and IPSIDY Inc as respondents in the appeal. In its grounds of appeal, Laxton Group is seeking the setting aside the tender awarded to IPSIDY Inc. The company also wants to be awarded the contract as the most economically advantageous tender on the basis that it provided a superior solution, which it claims was critical at this stage in the voters roll process. Laxton Group accused ZEC of manipulating the company’s financial bid to create a false impression that its bid was higher than that of IPSIDY Inc. The company exposed ZEC for setting a tender requirement for a specific server – HP Enterprise ProLiant XL270d Gen9 – which forms part of an all-in-one solution called Apollo 6500. The Apollo 6500 includes 2 servers. “However, during the evaluation, the first respondent, (ZEC), determined that it no longer required both servers but rather only one sever,” Laxton Group stated in its papers. “Consequently, it unilaterally decided to adjust the appellant’s pricing to reflect this adjusted requirement. In doing so, the first respondent only removed the price of one server and its corresponding warranty price and neglected to adjust any other line item that is reliant on and tied to the second server, which would have reduced the appellant’s price to $1 699 727.89 and therefore lower than that of the third respondent (IPSIDY Inc),” said Laxton in its papers. ZEC is also accused of settling for a technically non-compliant company. In this regard, Laxton Group argued that the server requirement was for one HP Enterprise ProLiant XL270d Gen 9 or higher, which is not sold on its own, but as a component of the Apollo 6500-chasis range. The company argued that two servers should be supplied for the ProLiant XL270d Gen 9 to meet the minimum requirement. Secondly, argued company, the tender called for management of a disaster recovery programme, which also requires the cited suite of equipment and a back-up server. “The third respondent would have been either incompetent or they knew a second server was not required, which no one would know unless they had inside information from the first respondent,” argued Laxton Group. hour. This, the company, contends will cause more challenges and cost taxpayers more money as it will be required to provide further services at a cost to help with any integration. Further, Laxton Group attacked the electoral body for awarding IPSIDY Inc the tender when it was clear the Chinese firm was technically superior. The Laxton Group also accused ZEC of awarding the disputed tender to its competitor based on a misapprehension of the Most Economically Advantageous Tender (MEAT) standard. MEAT is generally applied where price is not the deciding factor and other considerations are at play, like technical aspects of the solution, time lines, among others, as opposed to the lowest-priced compliant tender. The Chinese company also argued that ZEC blundered by considering the issue of “vendor lock” that is not a valid criterion on which to base the decision it made because it was nowhere in the tender. By considering the issue of vendor lock at the expense of due diligence on the supplier as a going concern and its financial stability, Laxton Group said ZEC violated the relevant law and awarding the tender to IPSIDY Inc, whose solvency was in doubt as shown by its 2016 financials.